Our publication with collaborators in the Tarnita and Gregor labs on heritability and stochastic decision making in ‘loner’ slime mold cells is up on BioRxiv here. Congrats to visiting graduate student Fernando Rossine and the rest of the team! Prof. Allyson Sgro and Dr. Achini Opathalage presented at this year’s ASCB|EMBO meeting in San Diego, California. Prof. Sgro talked about how oscillations coordinate collective behavior in Dictyostelium as well as presented a poster on student Sam Ghilardi’s work on calcium signaling in wounded microtissues. Dr. Opathalage presented her work on a pneumatically-actuated system to control microtissue tension. Our publication with collaborators in the Erramilli and Reinhard labs on pan-microbial pathogen inactivation using resonant gold nanoparticles is up on arXiv here. 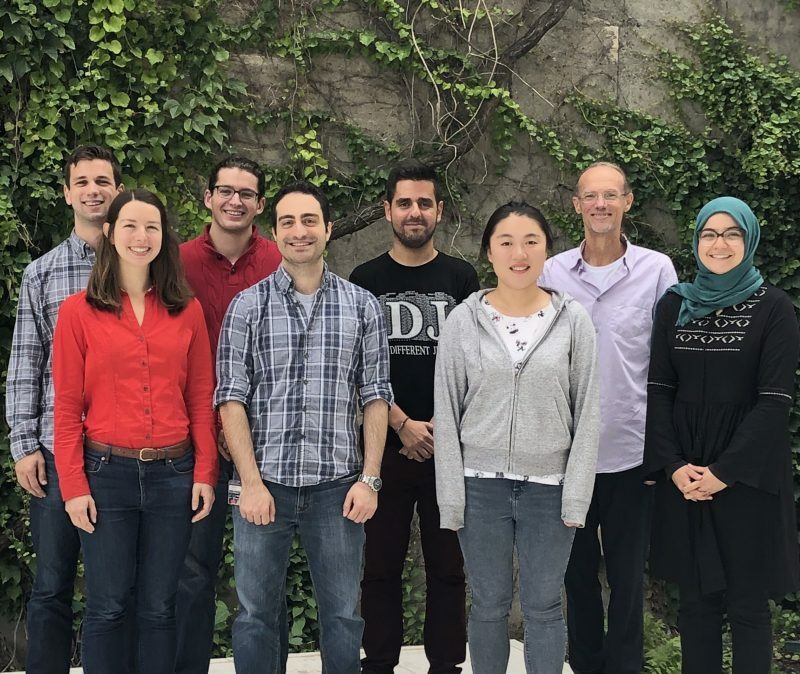 Congrats to Sgro Lab graduate student Mark Aronson and the rest of the team! Achini, Bonnie, Bre, and Sam presented their work in mammalian microtissues at the 2018 BMES Annual Meeting in Atlanta, Georgia. Professor Sgro has been awarded an NSF EAGER grant as part of the NSF’s Big 10 ideas initiative in the Understanding the Rules of Life area. This grant will support collaborative work with the Tarnita Lab at Princeton University. Sam and Shwan have been awarded ACS Division of Biological Chemistry travel awards and will be presenting at the National ACS Meeting next week here in Boston at the Boston Convention & Exhibition Center. On Sunday, August 19th, at 6:00 PM, Sam will be presenting a poster on his work quantifying trade-offs in FRET biosensor design (BIOL 63) in Exhibit Hall B2/C. On Thursday, August 23rd, at 8:45 AM, Shwan will be giving a talk on his work developing new yellow-red FRET sensors for cAMP dynamics in Room 153B. Go check out some of our tool development efforts! Sam, Bre, and Professor Sgro presented at the Mathematical Approaches to Cell-Cell Communication and Collective Behaviours workshop at the Banff International Research Station in Banff, Canada. In addition to all the fantastic science, they also fit in a little hiking. Mark, Bre, and Chuqiao Pass Quals! Congrats to Mark, Bre, and Chuqiao for passing their qualifying exams and becoming our newest Ph.D. candidates in BME!